Cataract is diagnosed in the course of a comprehensive eye examination by your ophthalmologist or optometrist, or call for an appointment at MarinEyes. The doctors at MarinEyes provide pre-operative consultations, second opinions and post-operative care. We often receive referrals from other doctors, but welcome self-referrals as well. Once your vision with corrective glasses or contact lenses is no longer adequate for you to comfortably, safely do your normal activities, it is time to consider cataract surgery. 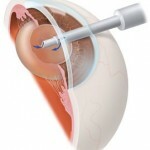 The only effective treatment for cataract is cataract surgery. This is a common procedure. At Marin Ophthalmic Surgery Center, we do about 700 cataract surgeries a year. The surgery involves a relaxing sedative and “topical” anesthesia for complete comfort. 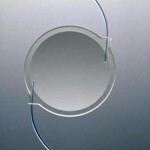 Under microscopic control, the surgeon removes the cloudy lens and replaces it with a new, clear artificial lens. home about 2 hours after arrival at Marin Ophthalmic Surgery Center. The vision may be blurry for the first few days, but is nearly always much better by 2 weeks postop. Typical post-operative care includes eye drops for 6 weeks after, and 2-3 post-operative follow-up appointments. Occasionally the post-operative care involves higher levels of medication and visits, but most people are ready for new glasses about 2 weeks post surgery. Check the links at the upper left of the page for more detailed information. Drs. John C. Shin and Christian K. Kim use the most current proven methods in their cataract surgery. The doctors provide pre-operative consultations, second opinions and post-operative care.